The New York Philharmonic is frequently called the country’s oldest orchestra . . . but it isn’t the country’s oldest continuously operating performing arts organization. The Handel and Haydn Society, Boston’s period instrument orchestra and chorus, was founded in 1815 — beating out the NY Phil by almost 30 years. Just to put that into proper perspective: James Madison, our nation’s fourth President, was still in office that year. Since then, the “H&H” (as they are often called) has served up a number of important U.S. premieres, including Handel’s Messiah (1818), Haydn’s The Creation (1819), Verdi’s Requiem (1878), and Bach’s St. Matthew Passion (1879). The H&H also happened to give the first American performance of Handel’s Jephtha way back in 1855. Harry Christophers — H&H Artistic Director since 2009 — presents Jephtha in Boston twice next week, but not before taking the rarely performed Handel oratorio on the road to California. There will be performances this Saturday, April 27th, in Berkeley’s First Congregational Church, and on Tuesday, April 30th, at Walt Disney Concert Hall in Los Angeles. In addition, the H&H will also play a different Baroque program highlighted by Vivaldi’s Four Seasons in both Berkeley (April 26) and Campbell Hall in Santa Barbara (May 1). CK Dexter Haven: Thoughts and prayers for everyone in Boston after last week’s tragedy. How did it affect the H&H and you in particular? Harry Christophers: I think the events of the past week have been a shock to everyone. I was at home in England when the news flashed up and I couldn’t believe my eyes. Boston is not a place where you would expect such an outrage to happen. Our thoughts and prayers go out to all those who suffered from this nonsensical atrocity. I also feel very saddened for the young men who are thought to be responsible. CKDH: Will it change your approach to this tour? HC: Music is the greatest healer. CKDH: Given that you’re based in the UK, what attracted you to the H&H originally and led you to become its Artistic Director? HC: H&H is a very similar organisation in terms of artistic output to my own ensemble, The Sixteen. Whereas The Sixteen concentrates on music principally from the Renaissance and Baroque periods with occasional forays into contemporary music, H&H is devoted to baroque and classical and I suppose it was principally the thought of being able to spend more time on classical repertoire and in particular the amazing symphonies of Haydn that was one of the main draws. Also when I first conducted the orchestra in Austria back I think in 2006 I realised that this was a group of musicians that I could empathise with. CKDH: What makes the H&H special? HC: Incredible teamwork not only from the musicians but also the staff who work tirelessly with great vision and total commitment. Our various boards and patrons are also amazingly supportive, always helpful never intrusive. Everyone has the well being of the Society at heart. The work that goes on behind the scenes in education and just generally trying to bring this great music of our heritage to a wider audience is amazing. The Society never sits back on its laurels; it is always thinking of new things and constantly reinventing itself. Above all the Society is committed to artistic excellence and bringing the outstanding music of the baroque and classical to life in I hope a manner that is approachable for everyone. CKDH: Even though H&H gave the US premiere of Jephtha in 1855, these performances will be its first since 1867. Why did it take so long and why now? HC: Dead right — long overdue. I think in general Handel has been under-served in the US. It is really only over the last 10 years or so we have seen other works than just Messiah brought to the concert stage. Also, Handel is one of my greatest loves and I want to present one of his oratorios in each season if at all possible. CKDH: Why visit California now, and why with these programs? HC: It’s important that the rest of the US see what we are about. What better than music by one of our namesakes! CKDH: Have you visited Walt Disney Concert Hall before? HC: A first for me, a first for H&H, and I think a first for practically all our musicians. Our brilliant concertmaster, Aisslinn Nosky, was there recently with Tafelmusik and is so excited about returning. She found it amazing!!! CKDH: What opportunities and/or challenges are there in presenting Jephtha in this venue? HC: I can’t see any challenges just total enjoyment in playing in an acoustic that is apparently brilliant. A pleasure in store!! CKDH: How often (if at all) do you get a chance to conduct anything besides baroque/classical “period” music, particularly 20th-21st Century music (e.g. Mahler or Stravinsky or living composers)? HC: I tend to conduct music by composers who I feel an affiliation with and above all who I feel I have something about which to say. So you will see from my concert performances and recordings that I have conducted a lot of Britten, Poulenc, MacMillan, Frank Martin, etc. I performed and recorded Steavinsky Symphony of Psalms and Poulenc’s Sept Repons de Tenebres (both works commissioned by US organisations – Boston Symphony and Lincoln Center) with the BBC Philharmonic. I tend to program a lot of Britten with the Granada Symphony Orchestra in Spain of which I am their principal guest conductor. CKDH: What one thing you’ve never conducted before would you love to have the chance to do if the opportunity ever presented itself? CKDH: When you’re not preparing performances, what music (both classical and non-classical) do you listen to in your free time? HC: I very rarely listen to classical music at home — if I do it will be a Sunday afternoon of Mahler (I adore Mahler) or Stravinsky ( give me Firebird any day!) Otherwise when I’m cooking or in the car, it’s my time, so out come the Stones, Led Zepp, Jethro Tull, Black Sabbath, and The Who! With the occasional Jack Johnston, Bon Iver, etc. CKDH: Any other comments for So Cal musical audiences? HC: Come and hear us — we really do aim to bring baroque music to life and we so enjoy performing!!! March 19, 2013 (Boston, MA) – In April of 2013, Artistic Director Harry Christophers takes the H&H Period Instrument Orchestra and Chorus on tour to California with Handel’s oratorio Jephtha and Vivaldi’s The Four Seasons. The West Coast Tour features concerts in Berkeley, Los Angeles, and Santa Barbara, as well as workshops and master classes. The Handel and Haydn Society last toured in North America in 2009, when the ensemble played in Quebec City. The ensemble’s last international appearance was at the London BBC Proms in 2007, and the group has not been to California since 1996. Premiered in the US by H&H in 1855, Handel’s Jeptha will be performed by the Period Instrument Orchestra and Chorus for the first time since 1867. The oratorio brings a legend to life: the music tells the story of Jephtha, a commander for the Israelites against the Ammonites, and his daughter Iphis, who is betrothed to one of Jephtha’s soldiers, Hamor. With a stellar cast, Christophers enlivens this dramatic story of passion and redemption and showcases the transformative powers of Handel’s music. Robert Murray, tenor, performs the title role. The cast also includes mezzo-soprano Catherine Wyn-Rogers (Storge), soprano Joélle Harvey (Iphis), and countertenor William Purefoy (Hamor), as well as H&H chorus members Woodrow Bynum (Zebul) and Teresa Wakim (Angel). After performances in California, H&H returns to Boston to perform the work at the renowned Symphony Hall, where they have performed since 1900. These performances will be the cast’s first with H&H, with the exception of Catherine Wyn-Rogers, who last appeared with H&H in Messiah in 2010, and Teresa Wakim, who last performed as guest soloist for Mozart Coronation Mass in 2012. During their time in Berkeley, members of the Handel and Haydn Society will be involved in a residency at the University of California, Berkeley. Musicians will work with university students as part of H&H’s ongoing outreach efforts. H&H musicians will also give master classes to students at the University of California Santa Barbara. Founded in Boston in 1815, the Handel and Haydn Society is considered the oldest continuously performing arts organization in the country and celebrates its Bicentennial in 2015. The Bicentennial will be a reflection upon 200 years of musical innovation and education that embodies the cultural heritage of the city of Boston and to the greater cultural landscape of the country. H&H has a rich history of introducing great works of music to America and has been an integral part of many iconic moments in US history. From the US premiere of Handel’s Messiah in 1818 to a performance at President Lincoln’s memorial service in 1865, to the creation of its education program in 1985, H&H has consistently made significant contributions to the American performance tradition. Bicentennial festivities will commence with the opening of the 2014–2015 Season, which will include the 161st annual performances of Handel’s Messiah in December 2014, and will close with Messiah in December 2015. Throughout the year, H&H will showcase the rich history and vibrant future of the institution through exhibits, lectures, free concerts, and more. 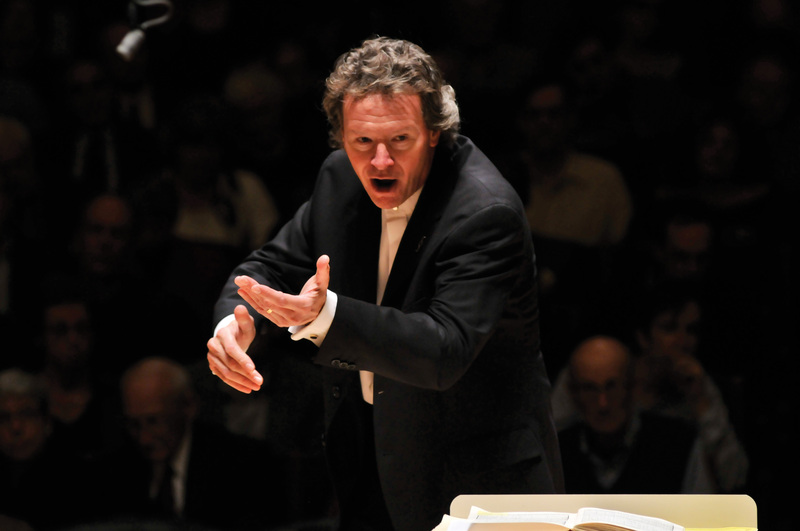 Harry Christophers, CBE, enters his fifth season as Artistic Director of the Handel and Haydn Society with the 2013–2014 Season. Appointed in 2008, he began his tenure with the 2009–2010 Season and has conducted Handel and Haydn each season since September 2006, when he led a sold-out performance in the Esterházy Palace at the Haydn Festival in Eisenstadt, Austria. Christophers and H&H have since embarked on an ambitious artistic journey towards H&H’s 2015 Bicentennial with a showcase of works premiered in the United States by the Handel and Haydn Society since 1815, education programming, community outreach activities and partnerships, and the release of the first of a series of recordings on the CORO label leading to the Bicentennial. Christophers is known internationally as founder and conductor of the UK-based choir and period instrument ensemble The Sixteen. He has directed The Sixteen throughout Europe, America, and the Far East, gaining a distinguished reputation for his work in Renaissance, Baroque, and 20th century music. In 2000, he instituted the “Choral Pilgrimage,” a tour of British cathedrals from York to Canterbury. He has recorded close to 100 titles for which he has won numerous awards, including a Grand Prix du Disque for Handel Messiah, numerous Preise der Deutschen Schallplattenkritik (German Record Critics Awards), the coveted Gramophone Award for Early Music, and the prestigious Classical Brit Award (2005) for his disc entitled Renaissance. In 2009 he received one of classical music’s highest accolades, the Classic FM Gramophone Awards Artist of the Year Award; The Sixteen also won the Baroque Vocal Award for Handel Coronation Anthems, a CD that also received a 2010 Grammy Award nomination. Harry Christophers is also Principal Guest Conductor of the Granada Symphony Orchestra and a regular guest conductor with the Academy of St. Martin in the Fields. In October 2008, Christophers was awarded an Honorary Degree of Doctor of Music from the University of Leicester. He is an Honorary Fellow of Magdalen College, Oxford and also of the Royal Welsh Academy for Music and Drama and was awarded a CBE in the 2012 Queen’s Birthday Honours. Aisslinn Nosky was appointed Concertmaster of the Handel and Haydn Society in 2011. With a reputation for being one of the most dynamic and versatile violinists of her generation, Nosky is in great demand internationally as a soloist, leader, and concertmaster. Recent collaborations include the Thunder Bay Symphony, the Lameque International Baroque Festival Orchestra, Arion Baroque Orchestra, the Calgary Philharmonic, Collegium Musicum Hanyang, and Tafelmusik Baroque Orchestra. Nosky is also a member of I FURIOSI Baroque Ensemble. For over a decade, this innovative Canadian ensemble has presented its own edgy and inventive concert series in Toronto and toured Europe and North America turning new audiences on to Baroque music. With the Eybler Quartet, Nosky explores repertoire from the first century of string quartet literature on period instruments. The Eybler Quartet’s latest recording of Haydn’s Opus 33 string quartets was released to critical acclaim in 2012. Since 2005, Nosky has been a highly active member of Tafelmusik Baroque Orchestra and has toured and appeared as soloist with this internationally renowned ensemble. Handel and Haydn Society (H&H) is a professional Period Instrument Orchestra and Chorus and an internationally recognize­d leader in the field of Historically Informed Performance, a revelatory style that uses the instruments and techniques of the composer’s time. Founded in Boston in 1815, H&H is considered the oldest continuously performing arts organization in the United States and has a longstanding commitment to excellence and innovation: it gave the American premieres of Handel’s Messiah (1818), Haydn’s The Creation (1819), Verdi’s Requiem (1878), and Bach’s St. Matthew Passion (1879). Handel and Haydn today, under Artistic Director Harry Christophers’ leadership, is committed to its mission to enrich life and influence culture by performing Baroque and Classical music at the highest levels of artistic excellence, and by providing engaging, accessible, and broadly inclusive music education and training activities. H&H is widely known through its local subscription series, tours, concert broadcasts on WGBH/99.5 Classical New England and National Public Radio, and recordings. Its recording of Sir John Tavener’s Lamentations and Praises won a 2003 Grammy Award and two of its recordings, All is Bright and Peace, appeared simultaneously in the top ten on Billboard Magazine’s classical music chart. Since the release of its first collaboration with Harry Christophers on the CORO label in September 2010, it has made available three live commercial recordings of works by Mozart – Mass in C Minor (2010), Requiem (2011), and Coronation Mass (2012) as well as Haydn in Paris (to be released in September 2013) and of an a cappella holiday program with its professional choir (to be released in October 2013). The 2010–2011 Season marked the 25th anniversary of Handel and Haydn’s award-winning Karen S. and George D. Levy Educational Outreach Program, which brings music education, vocal training, and performance opportunities to 10,000 students annually throughout Greater Boston and beyond. The Handel and Haydn Society is supported in part by the Massachusetts Cultural Council, a state agency, and the National Endowment for the Arts. 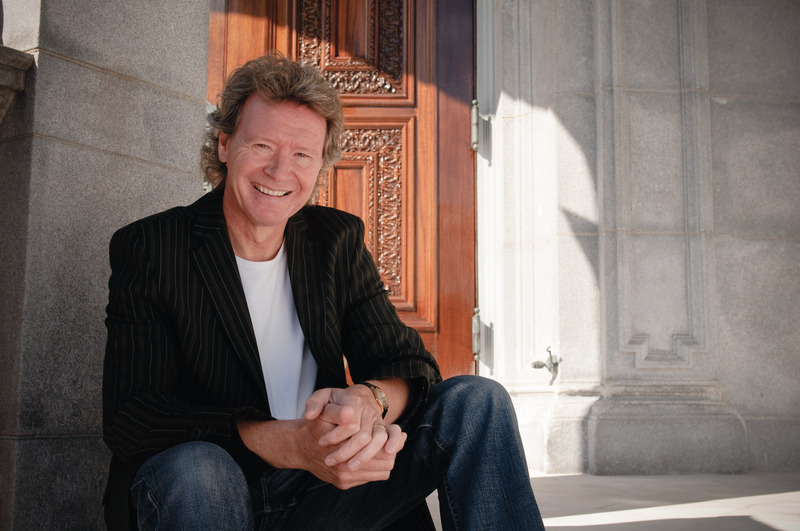 Tags: Baroque, Handel, Handel and Haydn Society, Harry Christophers, interview, Jephtha, Oratorio. Bookmark the permalink.